I first became interested in Danish oysters at a restaurant in South America. The menu highlighted a variety of fresh shellfish, flown in daily from Europe. And as I read through the list, dominated by favorites from England and France, I thought: what about Denmark? The country’s shallow coastline and temperate climate are ideal for growing the celebrated delicacy. So why had I rarely seen Danish oysters while dining out in Copenhagen? Denmark is home to two types of oysters, both of which have a story to tell. 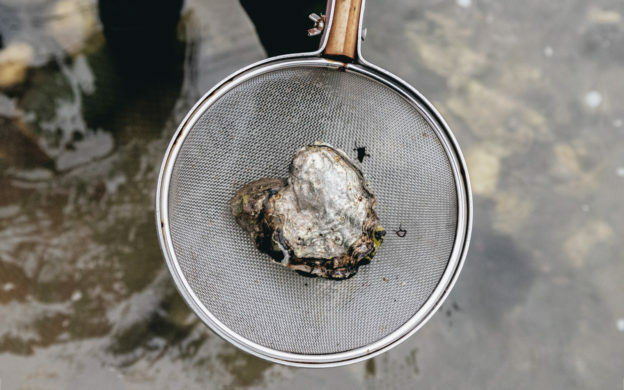 The first is the native European flat oyster (ostrea edulis), more commonly known as the Belon oyster (when from France), the Whitstable oyster (when from England) and the Limfjord oyster (when from Denmark). Found in a shallow inlet in northern Jutland, Limfjord oysters are something of a celebrity among bivalve enthusiasts. The oysters are famous for growing slowly, resulting in a firmer texture and more complex taste. 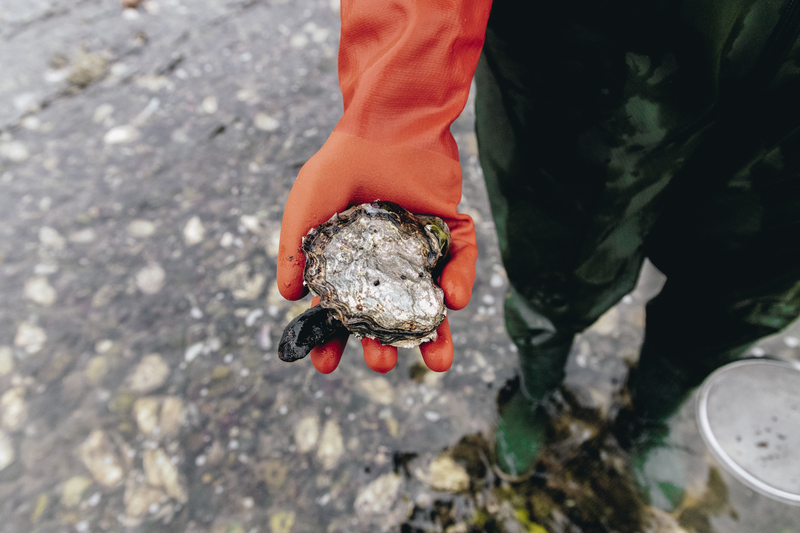 Limfjord oysters, dubbed “the best oysters in the world,” are quite rare. In fact, the oyster beds just outside the Dansk Skaldyrcenter are part of the last large colony of wild European oysters left in the world. Denmark’s second oyster is the Pacific oyster (crassostrea gigas), a foreign species that was accidentally introduced to the region. Exactly how the Pacific oyster got to Denmark depends on whom you ask. In southwest Jutland, locals point to the commercial oyster farm on the German island of Sylt. In the northwest, ships dumping ballast water brought the Pacific invaders to the inland sound. 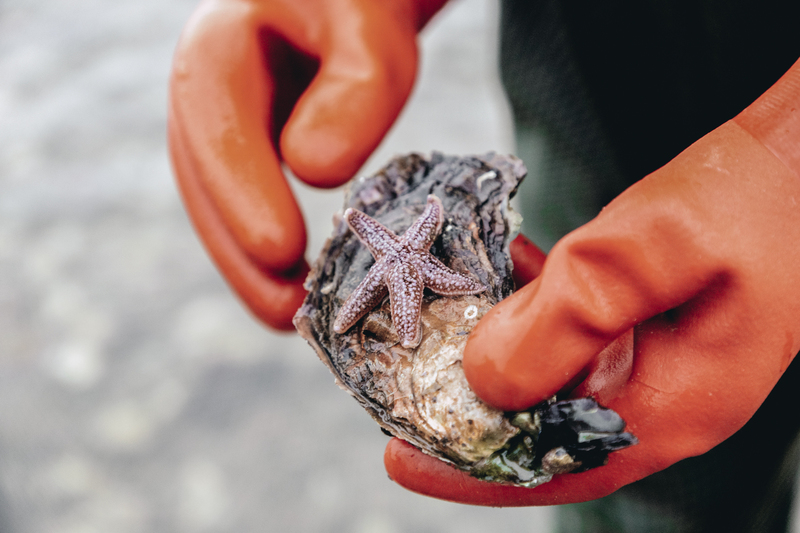 Today, what matters is that the Pacific oyster has spread heartily along Denmark’s western shores, overtaking Limfjord oyster beds and prompting a national effort to eat the species out of extinction. One way to pick wild oysters in Denmark is through an oyster safari. Vadehavscentret (The Wadden Sea Center) and Dansk Skaldyrcenter (Danish Shellfish Center) lead regular excursions between the months of October and April. The tours are quite different from one another. The Wadden Sea Center is located in the Wadden Sea: a UNESCO World Heritage Site in southwest Jutland. 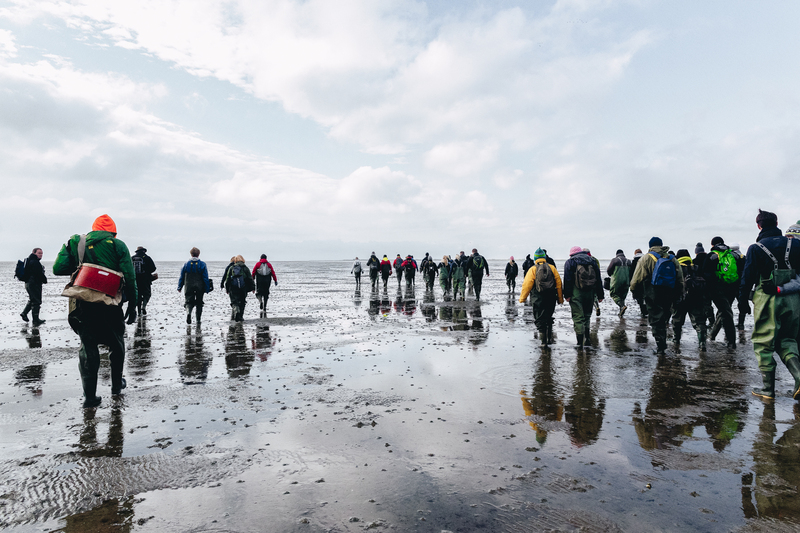 The oyster beds are only accessible at low tide, which makes the trek through the exposed sea feel otherworldly. Farther north, the Danish Shellfish Center organizes tours from Nykøbing Mors – the main town on Mors Island in the Limfjord sound. 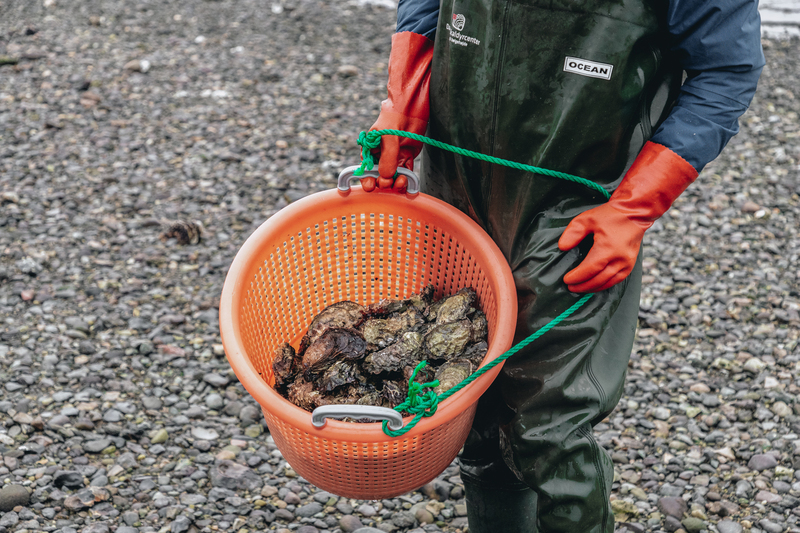 Unlike in the Wadden Sea where only the Pacific oyster grows, safari-goers can find both Pacific and Limfjord oysters within the island’s harbor. Luckily, there is no bad choice amongst the oyster adventures. Both centers offer similarly-priced experiences with a knowledgeable guide and pair of waders. 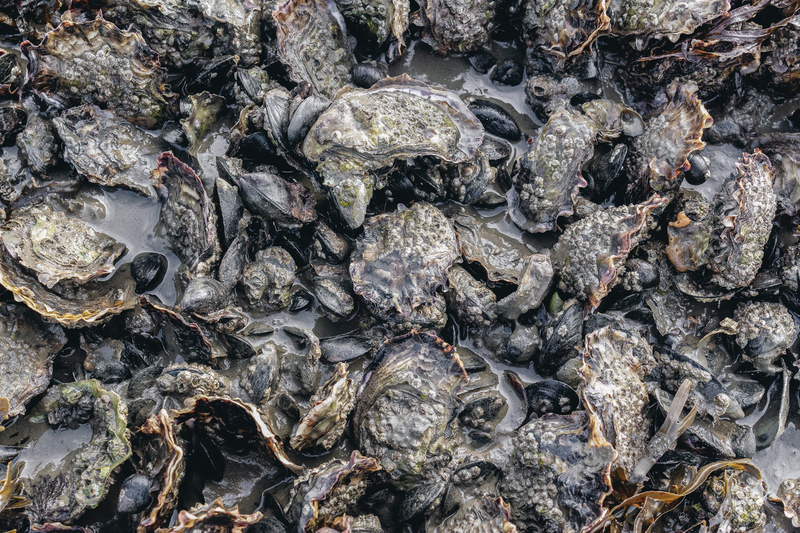 Plus, the all-you-can-eat safaris support efforts to remove the invasive Pacific oyster. 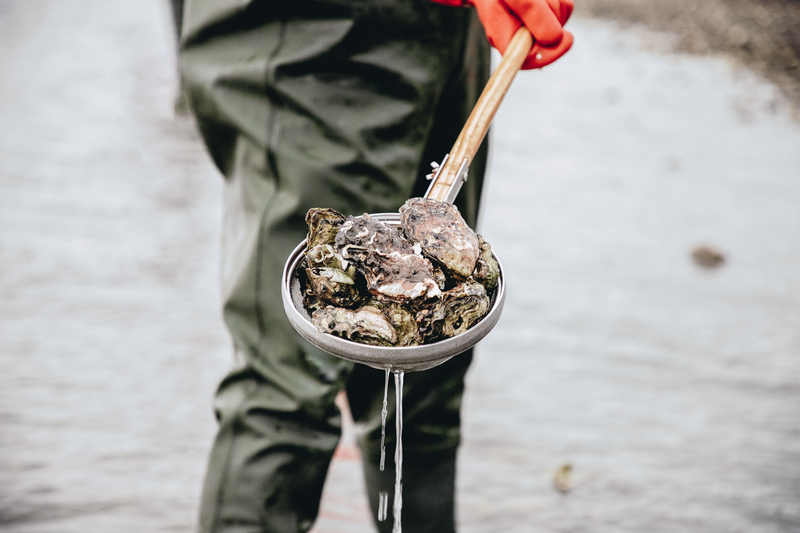 You’re eating oysters for the greater good; how often do you get to say that? Western Jutland not in your travel plans? Not to worry! There are a number of places in Copenhagen where you can regularly find Limfjord oysters. Also, keep an eye out for Oyster Trophy Week in October. 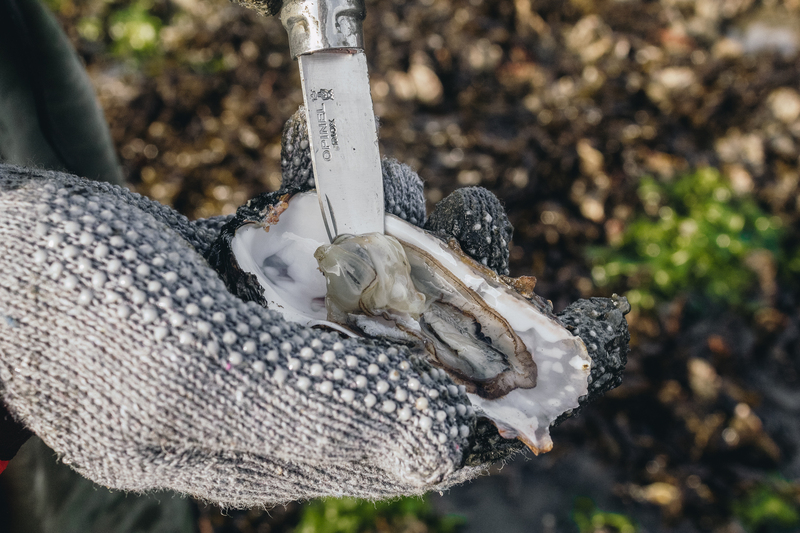 The weeklong celebration in Copenhagen kicks off oyster season in Denmark with a series of tastings, talks, and tours. January 27, 2019 by Jaughna Nielsen-Bobbit. Jaughna is NYC-born and Caribbean-bred, now living in Denmark. She is Scandinavia Standard’s Copenhagen Food Contributor and the writer/photographer behind the culinary travel blog www.towhatplace.com.